Ford Falcon BA, BF, FG & Territory SX & SY 2002 - 2014 Gregorys Owners Service And Repair Manual covers the following models: Sedans, Wagons and Utilities. Series Covered: Falcon, Fairmont, Fairlane BA, BF & FG Series 2002 - 2014; Fairlane BA & BF Series 2003 - 2007; Territory SX & SY Series 2004 - 2011; Engine covered: Petrol: 4.0 litre, 6 Cylinder DOHC 24v MPEFI (incl XR6 & Turbo & also AWD for the Territory). Transmissions Covered: Manual Transmission BTR T5 (M57 5 speed); T56 Tremec 6 speed; Auto Transmission BTR 93LE 4 speed + overdrive; ZF Getriebe 6HP26 5 speed + overdrive. NOTE: Only maintenance, adjustment, minor repair procedures plus removal and installation are described for the Transmissions. Transfer Case: Venture Gear NV125. DOES NOT cover LPG mechanicals (contains Wiring Diagram Only for LPG) or Territory SZ models or wiring diagrams for Falcon FG Series 11 models. DOES NOT include any information on the V8. 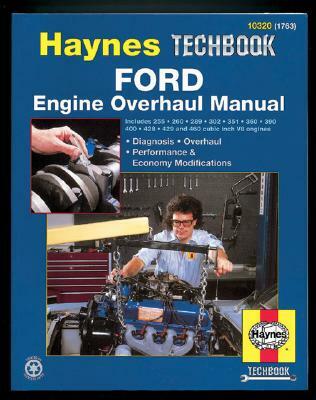 Contents: Introductory Pages: About this Manual; Introduction; Vehicle Identification Numbers; Buying Parts; Maintenance Techniques, Tools and Working Facilities; Booster Battery (jump) starting; Jacking and Towing; Automotive Chemicals and Lubricants; Conversion Factors; Safety First! ; Troubleshooting. Tune Up and Routine Maintenance; Six Cylinder Engine; General Engine Overhaul Procedures; Cooling, Heating and Air Conditioning Systems; Fuel and Exhaust Systems; Engine Electrical Systems; Emissions and Engine Control Systems; Manual Transmission - 5 Speed BTR T5 (M57); Manual Transmission - 6 Speed T56 Tremec; Automatic Transmission - 4 Speed BTR Model 93LE; Automatic Transmission - 6 Speed ZFGetriebe 6HP26; Transfer Case - Venture Gear NV125; Clutch and Dreivetrain; Brakes; Suspension and Steering Systems; Body; Chassis Electrical System; Wiring Diagrams; EFI and Powertrain Management Systems, BA Falcon Models; Powertrain Management Systems and Automatic Transmission, BA Falcon Models; Powertrain Management Systems, Antilock Braking System (ABS) and Cooling Fans, BA Falcon Models; Powertrain Management Systems and Serial Data Circuits, BA Falcon Models; Power Distribution, BA Falcon Models; Starting System, Charging System, Horn and Cigarette Lighter, BA Falcon Models; Headlamps, Park Lamps and Fog Lamps, BA Falcon Models; Stop Lamps, Reverse Lamps and Turn Signal / Hazard Lamps, BA Falcon Models; Interior Lighting, BA Falcon Models; Instrument Illumination, BA Falcon Models; Power Windows, BA Falcon Models; Power Door Locks, BA Falcon Models; Wipers and Washers, BA Falcon Models; Power Seat and Power Mirrors, BA Falcon Models; Instrument Cluster, BA Falcon Models; Supplement Restraint System (SRS), BA Falcon Models; Audio System, BA Falcon Models; Park Aid System and Satellite Navigation System, BA Falcon Models; Climate Control and Demister, BA Falcon Models; PCM Power Supply and Earth Connections, Fuel Pump, BF Falcon Models; Ignition Coils, Injectors, Cruise Control, Various Solenoids, BF Falcon Models; Various Input Sensors, BF Falcon Models; Throttle Control System, Alternator, Stop Lamp, Cruise Control and Clutch Switches, BF Falcon Models; 4 Speed Automatic Transmission, Vehicle Speed Sensor, BF Falcon Models; 5 Speed Automatic Transmission, Cooling Fans, BF Falcon Models; Communication Area Network, BF Falcon Models; Power Distribution, Ignition Switch, BF Falcon Models; Starting System, Horn, Cigarette Lighter, Power Outlet, BF Falcon Models; Headlamps, Parklamps, Automatic Light Control, BF Falcon Models; Turn Signal, Hazard Lamps, Fog Lamps, BF Falcon Models; Stop Lamps, Reverse Lamps, BF Falcon Models; Instrument Illumination, Analogue and Digital Clocks, BF Falcon Models; Interior Lighting, BF Falcon Models; Power Windows, Differential Lock (Utility Models), BF Falcon Models; Power Door Locks, BF Falcon Models; Wiper and Washers, BF Falcon Models; Power Mirrors, Power Seat, Power Adjustable Pedals, BF Falcon Models; Instrument Cluster, BF Falcon Models; Antilock Braking System (ABS) and Stability Control, BF Falcon Models; Supplement Restraint System (SRS), BF Falcon Models; Audio System (Interior Command System), Mobile Office, BF Falcon Models; Park Aid and Satellite Navigation System BF Falcon Models; Climate Control and Demister BF Falcon Models; Engine Compartment Fuse and Relay Box, FG Falcon Models; Interior Fuse and Relay Box, Ignition Switch and Passive Anti Theft System (PATS), FG Falcon Models; PCM Power Supply, Earth Circuits, Fuel Pump, Fuel Injectors, Ignition System (6 Cylinder Models), FG Falcon Models; Various Sensors and Solenoids (6 Cylinder Models) FG Falcon Models; Cruise Control, Various Sensors, Turbo Components, Alternator (6 Cylinder Models), FG Falcon Models; LPG System (6 Cylinder Models), FG Falcon Models; PCM Power Supply, Earth Circuits, Fuel Pump, Fuel Injectors, Ignition System (8 Cylinder Models), FG Falcon Models; Various Sensors (8 Cylinder Models), FG Falcon Models; Cruise Control and Various Sensors, FG Falcon Models; 4 Speed Automatic Transmission (6 Cylinder Models), FG Falcon Models; 5 Speed Automatic Transmission (6 Cylinder Models), FG Falcon Models; 6 Speed Automatic Transmission (6 and 8 Cylinder Models), FG Falcon Models; Communication Area Network (CAN), FG Falcon Models; Starting and Charging Systems, Horn, Cigarette Lighter and Demister, FG Falcon Models; Headlamps, Park Lamps, Fog Lights and Automatic Light Control, FG Falcon Models; Stop Lamps, Turn Signal / Hazard Lamps and Reverse Lamps, FG Falcon Models; Instrument Illumination, FG Falcon Models; Interior Lighting , FG Falcon Models; Power Windows and Mobile Phone, FG Falcon Models; Power Door Locks, and Theft Alarm, FG Falcon Models; Wiper and Washer and Park Assistant System, FG Falcon Models; Power Mirrors, Power Seat and Power Adjustable Pedals FG Falcon Models; Instrument Cluster, FG Falcon Models; Antilock Braking System (ABS) and Dynamic Stability Control (DSC), FG Falcon Models; Supplement Restraint System (SRS), FG Falcon Models; Audio System (Interior Command System), FG Falcon Models; Navigation System, Audio Interface Module and Reversing Camera, FG Falcon Models; Air Conditioning / Climate Control, FG Falcon Models; PCM Power Supply and Earth Connections, Fuel Pump, Ignition Switch, SX Territory Models; Ignition Coils, Fuel Injectors, Vacuum Solenoids, Cruise and Audio Switches, Imput Sensors, SX Territory Models; Various Engine Management Imput Sensors, Electronic Throttle Control Motor, SX Territory Models; Inhibitor Switch, A/T Sequential Shift Switches, Automatic Transmission, Stop Lamp and Cruise Control Brake Switches, SX Territory Models; Antilock Braking System (ABS), Traction Control, SX Territory Models; Controller Area Network (CAN) Circuit, Diagnosis Connector, Cooling Fans, SX Territory Models; Power Supply, Ignition Switch, SX Territory Models; Starting, Charging, Horn, Cigarette Lighter, Auxiliary Power Outlet, SX Territory Models; Headlamps, Fog lamps, Tail lamps, SX Territory Models; Stop Lamps, Reverse Lamps, Indicators / Hazard Lamps, SX Territory Models; Interior Illumination, Power Door Lock Switches, SX Territory Models; Instrument Illumination, Clock (High Series Models), SX Territory Models; Power Windows, SX Territory Models; Power Door Locks, SX Territory Models; Windscreen Wipers, SX Territory Models; Power Mirrors, Power Seat, Power Adjustable Pedals, SX Territory Models; Instruments, SX Territory Models; Supplement Restraint System (SRS), SX Territory Models; Interior Command System (Including Audio System), SX Territory Models; Rear Parking Sensor, Navigation System, SX Territory Models; Climate Control Air Conditioning, Rear Demister, SX Territory Models; PCM Power Supply and Earth Circuits, Fuel Pump, SY Territory Models; Ignition Coils, Injectors, Cruise Control, Various Solenoids, SY Territory Models; Various Input Sensors,SY Territory Models; Throttle Control System, Alternator, Stop Lamp and Cruise Control Switches, SY Territory Models; 4 Speed Automatic Transmission, Sequential Shift Switch, Inhibitor Switch, SY Territory Models; 6 Speed Automatic Transmission, Sequential Shift Switch, Cooling Fans, SY Territory Models; Communication Area Network , SY Territory Models; Power Distribution, Ignition Switch, SY Territory Models; Starting System, Charging System, Horn, Cigarette Lighter, Power Outlets, SY Territory Models; Headlamps, Parklamps, Automatic Light Control, SY Territory Models; Turn Signal / Hazard Lamps, Fog Lamps, SY Territory Models; Stop Lamps, Reverse Lamps, SY Territory Models; Instrument Illumination, Analogue and Digital Clocks, SY Territory Models; Interior Lighting, SY Territory Models; Power Windows, SY Territory Models; Power Door Locks, SY Territory Models; Wipers and Washers, SY Territory Models; Power Mirrors, Power Seat, Power Adjustable Pedals, Seat and Pedal Memory, Park Assist System, SY Territory Models; Instrument Cluster, SY Territory Models; Antilock Braking System / Stability Control, SY Territory Models; Supplement Restraint System (SRS), SY Territory Models; Audio System (Interior Command System), Mobile Phone, SY Territory Models; Navigation System, Reverse Camera, SY Territory Models; Climate Control and Demister, SY Territory Models; Questions: 1) Does it cover a 2005 BA mark2 xr6? Answer: Yes, it covers all models of the BA/BF to 2008. Gregory's workshop manuals are produced for the Australian market. These vehicle specifications may vary from those sold in other countries. Please be aware of these possible differences prior to using the data contained within.